For all my talk about planning and looking for things to visit while I’m stuck at my desk, it sure seems like I am able to stumble across a lot of great things just by simply riding around and keeping my eyes open. Sunday was a bit on the chilly side. Of course that meant a perfect opportunity to torture Kenny by dragging him out to breakfast 150 miles away. 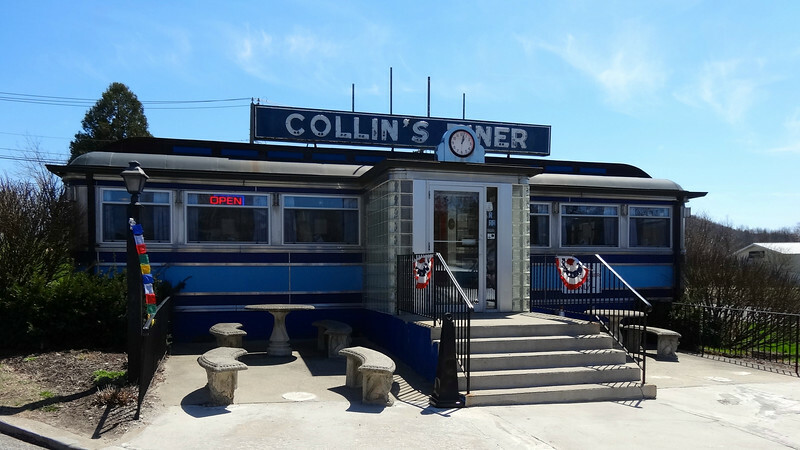 The lovely Collin’s Diner in North Canaan, Connecticut is nestled between not 1 but 2, yes 2 cabooses (caboosii?). I had no idea – it was just a lucky break. I’d call that a win, wouldn’t you? Delicious breakfast in the type of diner where the waitresses call you “hon” and 14 E2E static train points. For whatever reason, the static train is one of my favorite categories in the Rally. 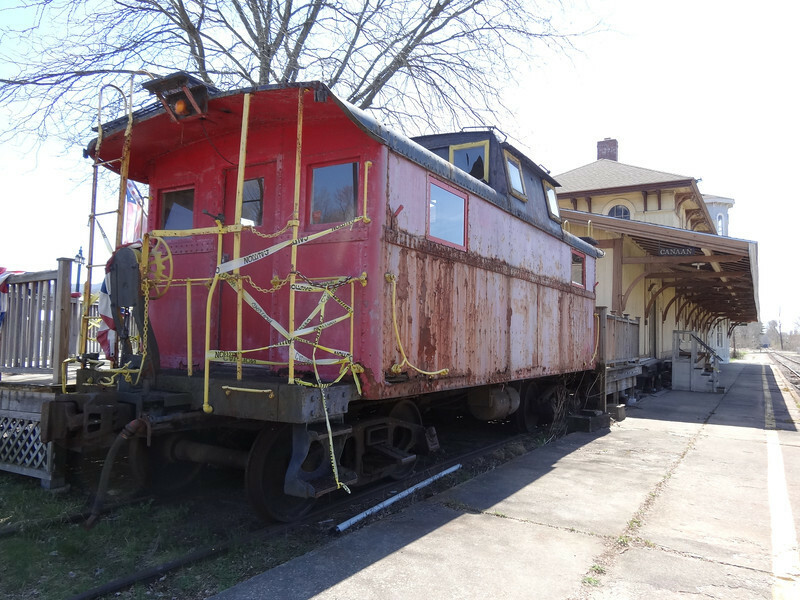 I’m kind of surprised that I never really took note of just how many train cars are sitting idle before now. Along our route into Connecticut we passed many opportunities to collect points for the E2E Rally. But I just didn’t feel like stopping for them. I find it much more difficult to stop and monkey around on the side of the road when I’m traveling with someone. Instead I filed some things away for ‘later’ when I have time to see them on my own. This of course goes against my resolution for the New Year. What can I say? I live on the edge. I’m a rule breaker. Later today I may even run with scissors. Nice find on the cabooses. Of course with the blog title I was thinking it might have something to do with the portion sizes of breakfast. I’m with Trobairitz on the title – expected to see a ginormous plate of food! Nice find though. On the hunt for a historical marker I happened upon a covered bridge and a war memorial park with 7 war memorials. I never did find the historical marker! 150 miles for breakfast? You are such a brute!! Love it! 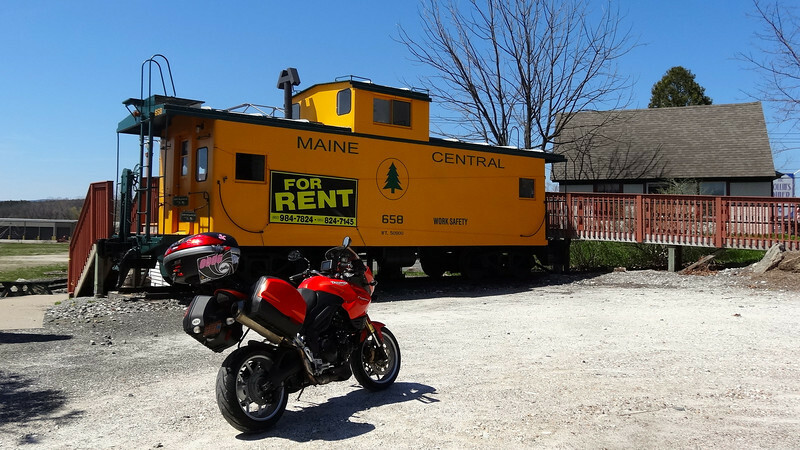 Achievement Unlocked: Slacking Motorcycle Blogger!